Action Pistol at Veteran’s Range is scenario based shooting exercises with multiple targets which include turning, moving, pop up, pop in, and swingers. Shooters that participate develop very good firearms skill sets. Shooters will practice safety, moving from position to position, shooting while moving, reloading, shooting with either hand using both one and two handed grips and more. Shooters also develop more confidence defensively and will be considered for recognition if they meet the requirements for the number of completed exercises. All key holding members and their family are able to participate provided they pass a qualifying exam, written and practical. 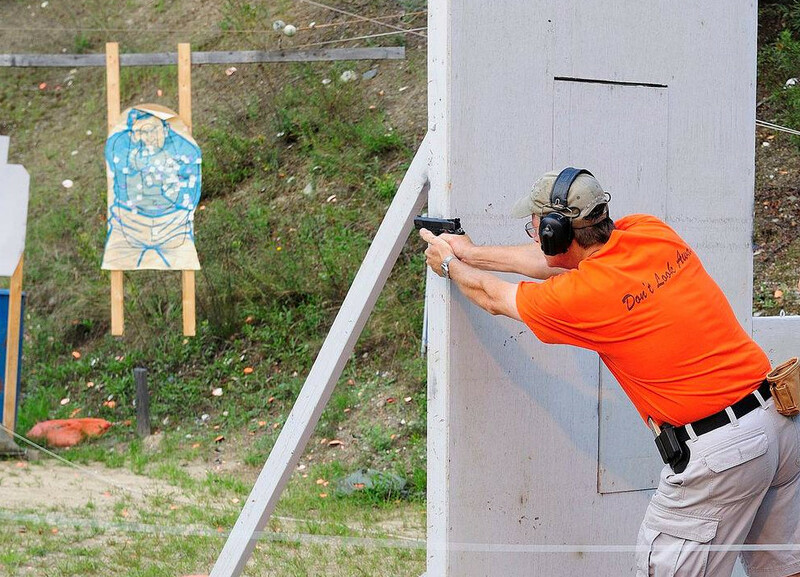 An “Introduction to Action Pistol” class is held every spring and qualifications are held most Saturday mornings during the season. See the club calendar for dates and times or make arrangements with the Governor.